In addition to making regular coffee, lattes, and all of the fancy, loaded-with-sugar drinks, we made cold brew every afternoon to prepare for the next day. 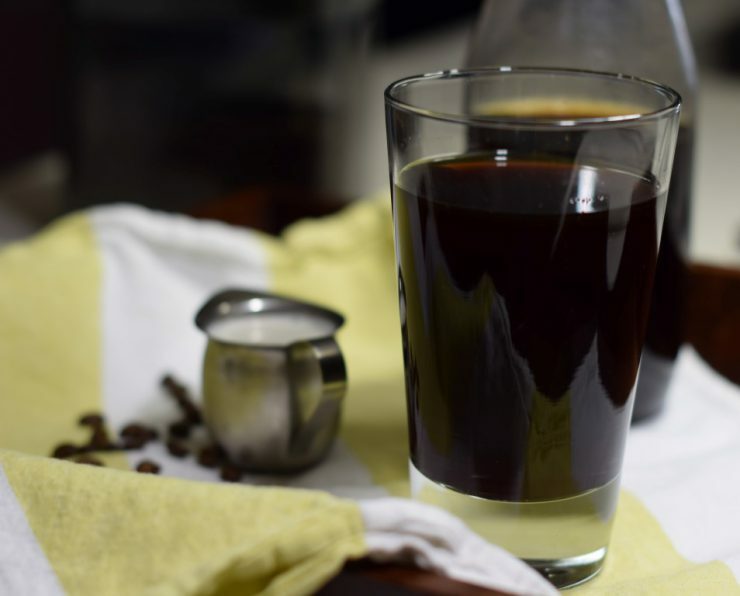 If you’ve never tried cold brew or don’t know what the hype is all about, that’s ok; it’s actually just a simple way to make non-watered down iced coffee. Prior to learning about cold brew, I always tried making iced coffee by adding a bunch of ice cubes to my hot coffee. The result? Diluted, weak coffee that always tasted bad. 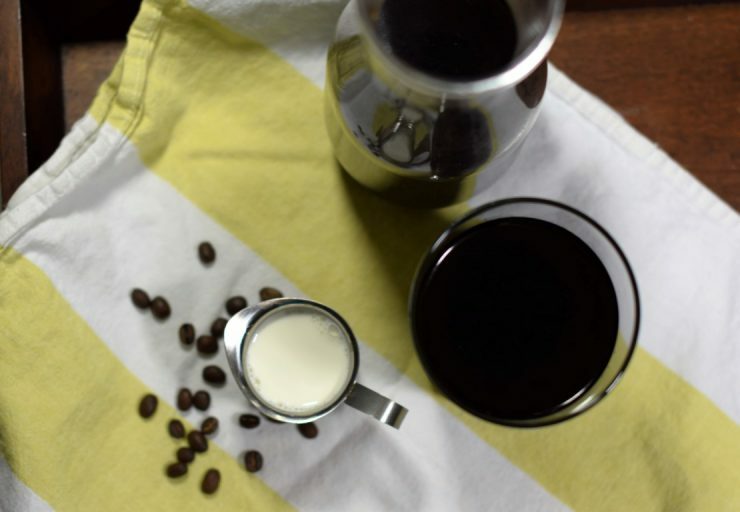 Cold brew is the exact opposite, and I promise it’s incredibly easy to make. 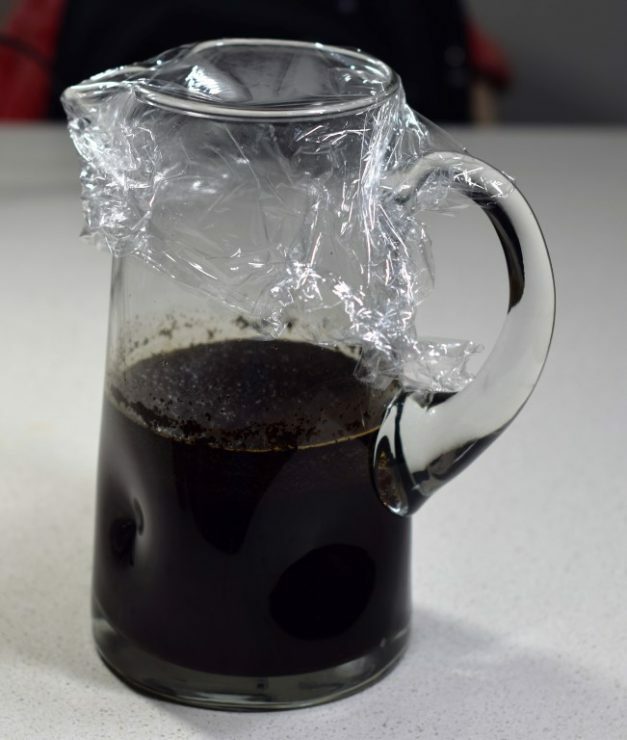 To make your own cold brew, all you need is coffee, water, a pitcher, and a fine sieve like a cheese cloth or coffee filters. 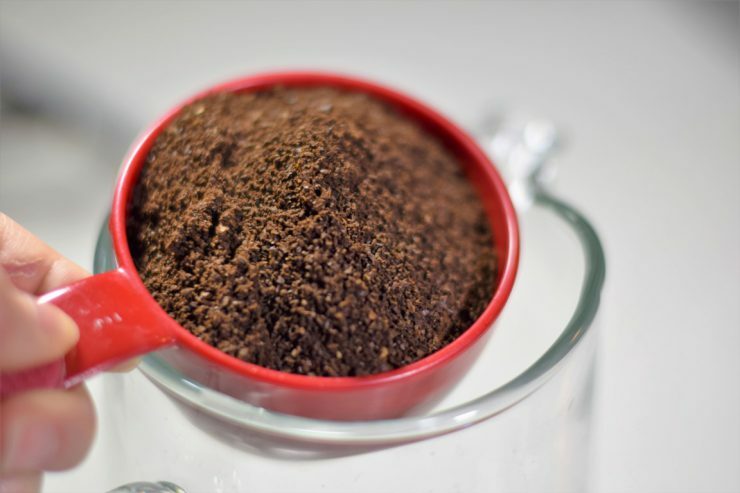 I prefer to use whole bean coffee and grind it myself, but if you don’t own a coffee grinder, using ground coffee will work just fine. Measure out 1 cup of whole bean coffee. I use dark roast coffee, but that’s just my personal preference. Use whatever coffee you like most. 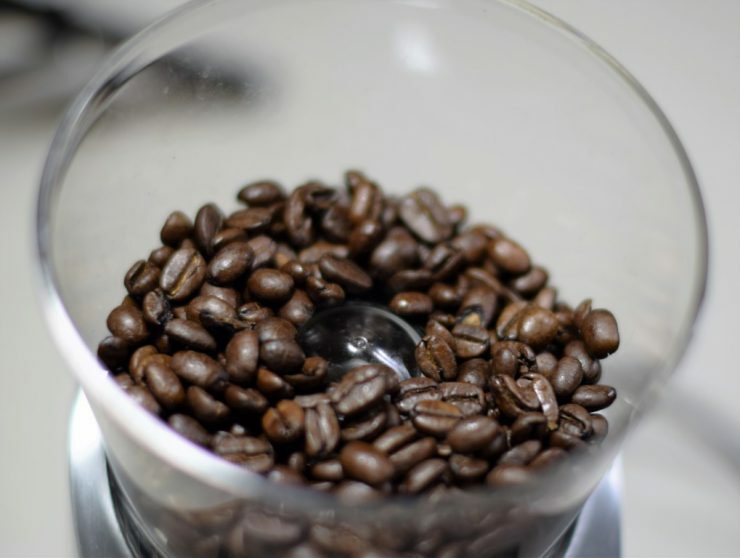 Place beans in a grinder (I love my Capresso burr grinder) and coarsely grind. 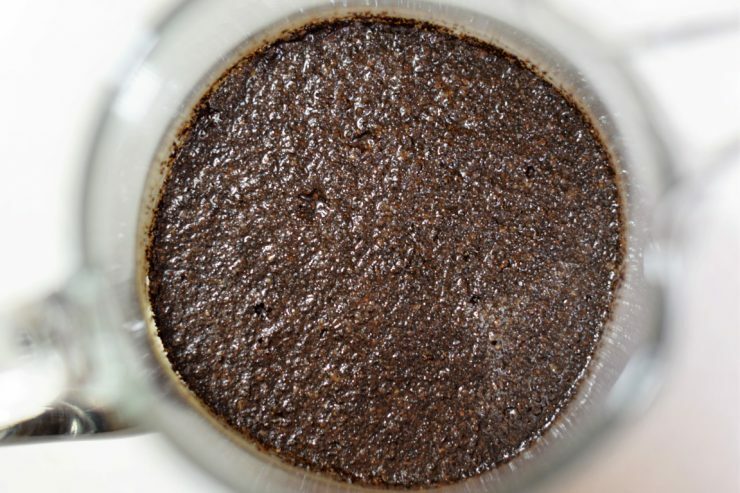 Pour the ground coffee into a large pitcher. Add 4 cups of water to the pitcher and give it a quick stir. Cover the pitcher with plastic wrap and let it sit out on the counter overnight. 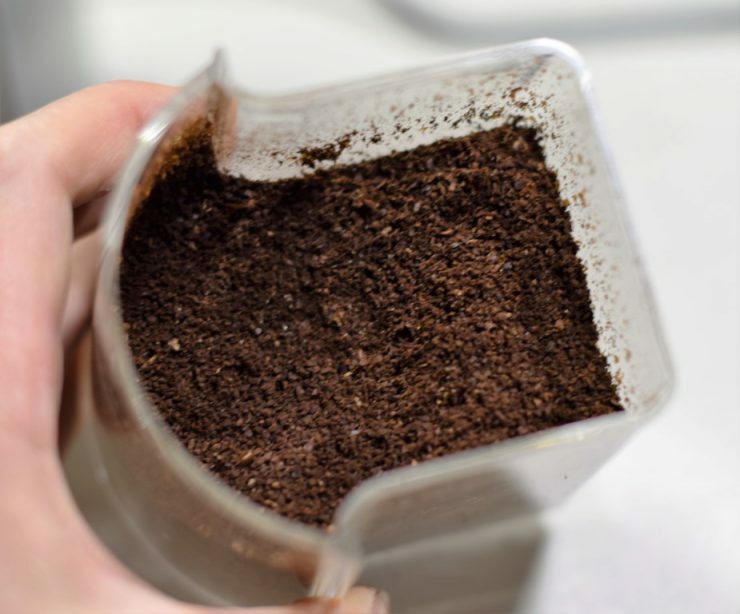 After soaking overnight, the final step is to filter the grounds out of the coffee. 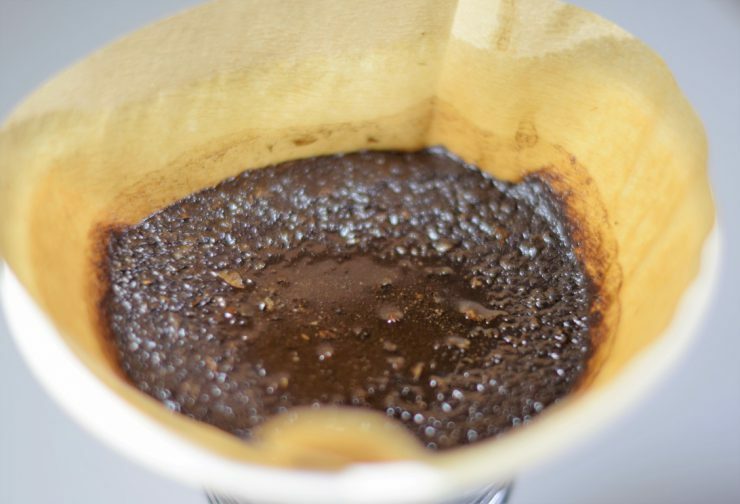 You need a fine sieve for this to work; a cheese cloth or coffee filter are good options. Once you’re set up, carefully pour the contents of the pitcher through your filter and into a new pitcher. I opted for the coffee filter route and placed one in a funnel to help direct the filtered coffee into my new pitcher. My process worked well, but I had to replace the filter about halfway through because it started to fall apart. Once the grounds are completely filtered out, you’re left with fresh cold brew in your pitcher. You’re done; it’s that easy. The cold brew can be stored in a sealed container in the refrigerator for up to 1 week. 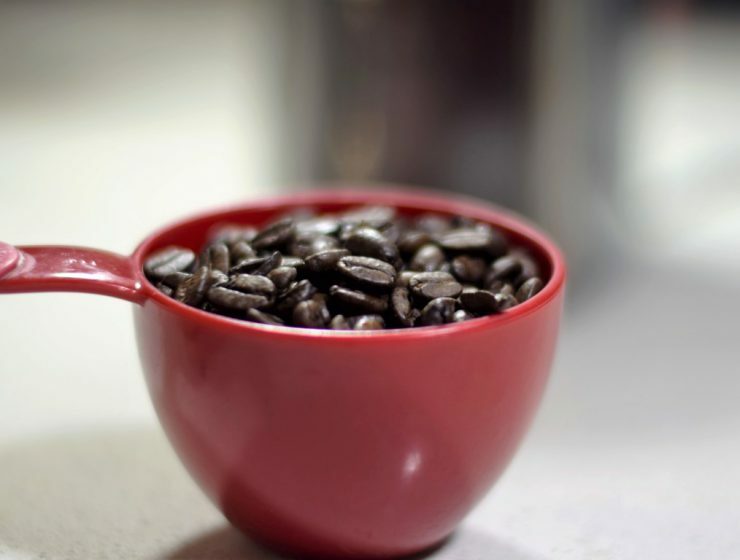 Place 1 cup whole bean coffee into a grinder and coarsely grind. 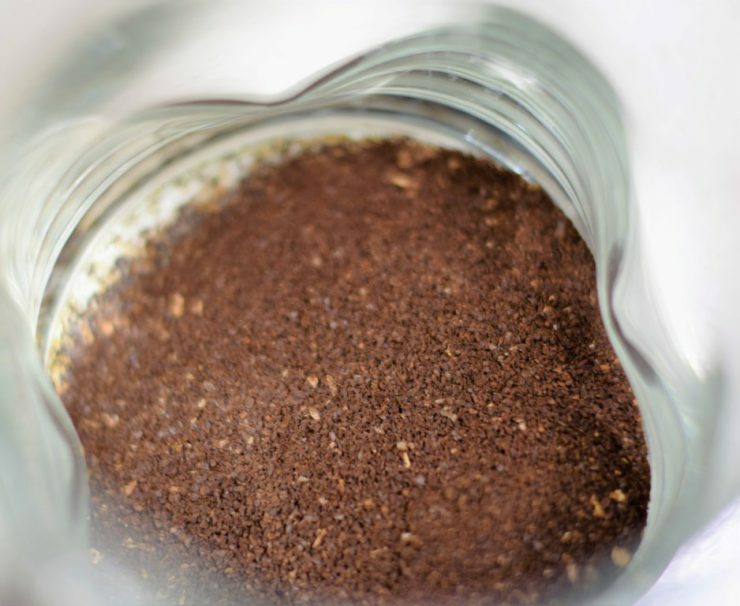 Transfer coffee grounds to a large pitcher. Add in 4 cups water and stir. Cover the pitcher with plastic wrap and let sit out on the counter overnight. 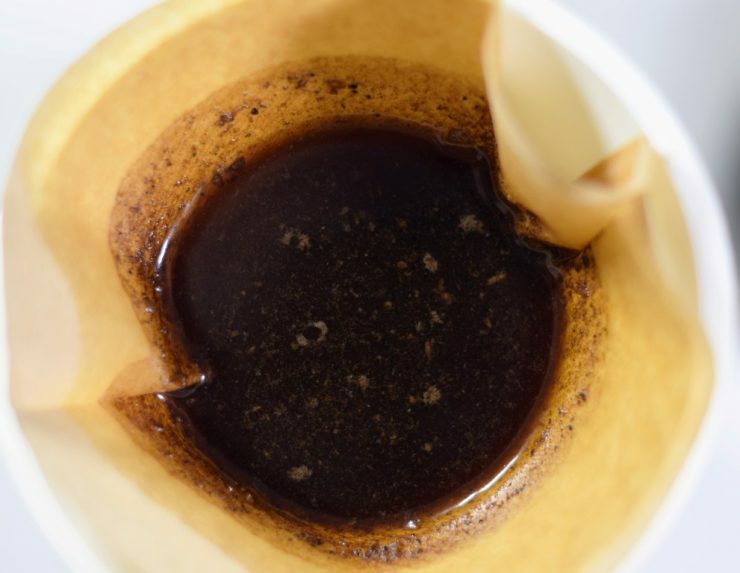 Filter out the coffee grounds using a coffee filter or cheese cloth. Pour the contents of the pitcher through the filter into a new pitcher. Store cold brew in a sealed container in the refrigerator for up to 1 week. Enjoy plain or with cream!